UPDATE November 19 2013: I have a major followup to the blog entry here. I've long been a supporter of Audio Video Bridging (AVB)--an open standard way of sending time-synchronized audio and video information over an Ethernet network. AVB has been slowly working through the Institute of Electrical and Electronics Engineers (IEEE) standards process for a long time--work on the standard began in 2005. I've been increasingly concerned that with an open standard vacuum, Audinate's proprietary Dante audio networking system will offer "good enough" functionality for most shows, thereby killing off any demand for AVB. Users drive the purchasing decisions in the live show market, and most don't know the technical differences between AVB and Dante, and don't need to. What they do know is that audio networking offers key benefits, like a dramatically reduced cable infrastructure, easy audio signal copying and routing, etc. So if their audio console of choice works fine with Dante, there's no reason for them to push for anything else. And no user demand means no investment by manufacturers. Don't get me wrong--Dante is a great technology and I use it. But it's proprietary, so when things go wrong (and I and many of my friends have seen weird, intermittent problems) you're kind of stuck. Audinate's web page explicitly says, "For Technical Support, please contact the Pro Audio Equipment Manufacturer directly." So what happens when you have a problem between two different manufacturers? You're kind of on your own. And with no technical details available about the proprietary Dante technology, or any sort of third-party test/analysis or troubleshooting systems of which I'm aware, you kind of are stuck in the "reboot and hope for the best" mode when you have a cross-manufacturer problem. Dante has gained enough acceptance in pro audio that it is now effectively the "800 pound gorilla" of the market. As the market leader successfully selling a proprietary product, it may not be in Audinate's interest for AVB to succeed (although manufacturers locked into buying chips from Audinate may feel otherwise). But Audinate is a member of the AVnu alliance, the AVB trade association, and I was encouraged by what I saw in Orlando at Infocomm back in June, where Audinate was showing beta firmware sending AVB out from a Yamaha CL-5 console to other gear in the AVnu pavillion (my writeup and photos here). For AVB switches to be widely deployed, the value of the AVB technologies must offset or exceed the added deployment costs. AVB clock sync offers sub-microsecond synchronization accuracy. But that is overkill for most use cases, and existing gigabit networks can achieve microsecond sync accuracy without specialized switch hardware. Although some use cases might call for AVB-style resource reservation and QoS guarantees, the techniques used to build mission critical Voice Over IP (VoiP) networks can be used to provide QoS guarantees with non AVB network equipment. Here, Mr. Williams is making my "Good enough" point from above. Alternatively, if switch manufacturers can include AVB support for little additional cost (as is the case for Ethernet jumbo frames), AVB may gradually diffuse throughout the industry and become available in a wide variety of network equipment. A significant economic benefit offered by digital media networking is converged infrastructure For media,control and data. IT managers will have a bigger influence on network considerations in a converged network. This is likely true in a key market for Audinate: large facilities like airports, universities, and convention centers. But many live shows currently running Dante run on inexpensive small-business grade, un-managed Ethernet switches. The only place I'm currently seeing even basic managed switches in live shows are in purpose-built facilities like a Cirque du Soleil resident show or a Disney park, or in specialized applications like our own Gravesend Inn haunted hotel (where we run 40 or so channels of Dante in a VLAN). So I think a point Mr Williams is missing here is that for a large number of live show applications, the investment in switch hardware is not really a significant cost factor, at least in the context of the costs of a professional sound system where a console might be $50,000. There's no doubt that AVB switches are taking longer than expected to become available. At Audinate, we don't feel we can solely rely on AVB functionality becoming ubiquitous in network infrastructure for at least a few years yet. So there you go--that's about as explicit a statement for the future of Dante and AVB as you're likely to find. So, will Audinate fully embrace AVB, and push it forward, or will just let the delay in AVB-capable switch availability help them continue to dominate the market? So what's up with AVB? The last of the necessary AVB standard components is still navigating the IEEE standards process, and in the meantime, manufacturers are developing equipment in anticipation of the eventual AVB release. To test it, AVnu alliance members send representative gear out to a very cool lab for AVB compliance testing--the amazing Inter Operability Laboratory (IOL) at the University of New Hampshire. 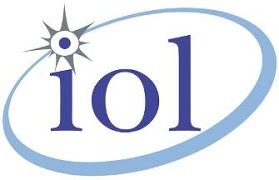 The IOL is one of the leading certification labs of its kind in the world, and they test all kinds of gear in a neutral environment to make sure that it will work with any other certified gear. They then generate confidential reports on members' submitted equipment so the manufacturers can make revisions.